The call of Africa booms across the African continent for a socialist united Africa. It is the final call of the calls from Dr. W.E.B. Du Bois and Marcus Garvey, Dr. Kwame Nkrumah and Ahmed Sekou Toure, Gamel Abdel Nasser and Ben Bella, Muammar Gaddafi and Robert Mugabe, etc., for a truly independent Africa. And a truly independent Africa is not only a united people but also one based on the socialist system as projected by Dr. Kwame Nkrumah on the basis of a scientific study of the African situation; that is, if Africa should never again lose its independence. Let all Africans on the continent and the Diaspora hear this call and stand up to be counted. 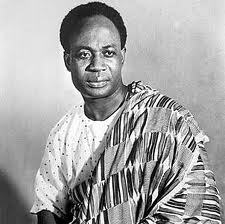 While the Centre for Consciencist Studies and Analyses (CENCSA) acknowledges the proliferation of different perspectives on the ideological and organizational question regarding Pan-Africanism it boldly asserts that Revolutionary Pan-Africanism, as pronounced by Dr. Kwame Nkrumah, remains the most consistent and viable perspective. CENCSA is fortified in its conviction that the neo-colonial states are not to be taken over but replaced through a process of building a single African State in correspondence with the African Nation. In this respect, it observes with pride the self-criticism of Dr. Nkrumah on particular occasions to heighten clarity on the way forward for professional African revolutionaries and the masses of the African people. The CENCSA is left in no doubt that the contributions of internationalist Cuban revolutionary forces, for instance, cannot be trivialized in the history of the African Revolution. It is in this respect that it urges upon African revolutionary forces not only to acknowledge those contributions but also take inspiration from them for their own engagement in all theatres of struggle on the African continent. While reactionary and neo-colonial states gang up to retain the status quo it stands to reason that African revolutionary forces spread their wings over the African continent to establish their ubiquitousness for the ultimate anti-neo-colonial confrontation. For, therein lies the worldwide victory over imperialism, neo-colonialism and international impunity. Aluta continua! Beckoning that I come closer. O! What a sight I behold! Is it for real or a mirage? At that moment long expected. * In dedication to Diana. This is a scandal of outrageous proportions! After many years of protests and campaigning, Dr Vandana Shiva, Gilles Seralini, AFSA and its affiliate in Africa and the world over are vindicated. This report about the coercion and victimisation of scientists and members of the high ranking staff of the International Agency for Research on Cancer (IARC) by Agrochemical industry is shocking, frightening and disgusting. More than 300 of the green snakes were killed in 7 houses at Essienimpong, alone. That incidence revealed the destructive nature of glyphosate in the Roundup product of Monsanto widely used by farmers in Ghana. Dr Vandana Shiva has spoken relentlessly about agrochemicals and how glyphosate, in particular, used widely by big farms in Europe and across the world, destroys the sanity of the environment by polluting water, the soil and other organisms found therein. She raised this issue substantially when she visited Ghana. Like Gilles Seralini whose study found that rats fed glyphosate-tolerant corn risked developing tumours, Dr Shiva became a subject of abuse by ghostwriters whom we now know were scientists working for Monsanto. Shame! “Ghostwriting articles on glyphosate was a concerted effort by the company. Monsanto scientists wanted to both steer the scientific studies away from identifying potential adverse human health effects from exposure to glyphosate and they wanted other “independent” scientists listed on these studies to provide the aura of objectivity and independence. Monsanto did this on several occasions”, the report obtained from on-going litigation documents with Monsanto reveals. We must demand that the IARC of the World Health Organisation (WHO) properly tag or describe glyphosate as carcinogenic to humans and NOT “probably carcinogenic to humans”. All campaigners and pressure groups across Africa resisting the forced introduction of Roundup and all other glyphosate laced products are encouraged to hold press conferences on this report and personally submit copies of them to the Ministry of Agriculture of our respective countries. After that, we must get the media to get policymakers and scientists to speak to this report. We could make a huge impact in Ghana if like-minded NGOs and small farmer’s groups, like the PFAG, could talk to the General Agricultural Workers Union (GAWU) of the Trades Union Congress (TUC) of Ghana to issue a joint statement on this report. This is another chance for ACTION. The 2017 Edition of the Journal of Marxism-Nkrumaism assembles contributions by intellectuals and activists to address the question of building a People’s State in Africa. It predicates the People’s State on the twin processes of independent worker-ownership of industry cultivation and protection of national natural resources within a framework of increasing popular access to what one of its contributors describes as the unencumbered media pluralism and cultivation and tolerance of diversity of opinions in the media whereby the essence of freedom of expression is predicated on media ownership. If the 20th Century efforts at building People’s States around the world proceeded from above and essentially alienated the working people in the process of ownership, for which reason they collapsed, the Journal of Marxism-Nkrumaism projects a rectification of strategy to ensure real and immediate worker-ownership from below in the 21st Century and beyond. It observes this process to be already taking place even in the US by way of the collectivization of worker-owned enterprises. To graphically illustrate this development in its integrity, the Journal of Marxism-Nkrumaism publishes Professor Akilagpa Sawyerr’s 2016 Presidential Address to the Ghana Academy of Arts and Sciences, Professor Kwame Karikari’s recent lecture at the W.E.B. DuBois Centre, Part One of Lang T.K.A. Nubuor’s developing historico-critical paper on the People’s State in Ghana, Van Slyke’s and Michelle Chen’s pieces on unions and co-operatives in the United States. It is hoped that these independent responses to the developing process of the democratic enterprise across the imperialist and neo-colonialist spheres of capitalist supremacy would be particularly appreciated by The Left in Africa and Asia as well as Latin America and the Caribbean. It is certainly not enough that The Left should remain a protest movement. It is required to go beyond protests to materially and constructively evolve the socialist economy and its People’s State from within the system. Freely download the 2017 Edition of the Journal of Marxism-Nkrumaism. Your critical observations for its future improvement are gbeyeciously anticipated. The Africa Social Entrepreneur Network (ASEN) is an Accra-based NGO set up by a group of young enterprising Ghanaians with an aim to mobilize unemployed youth in cooperation for self-employment. Musa Numoh, age 30 – Accra, Ghana. Mutala Numoh, age 32 – Kade, Ghana. Nana Yaw Appiah Kubi, age 30 – Akropong, Ghana. We have a local government and development expert, a teacher, a farmer and social researcher among our members. The founders of ASEN have been engaged in discussions about the harsh state of underdevelopment that has plagued their home country. In 2008, this group of young Africans decided to no longer lament their underdevelopment, but lead change.